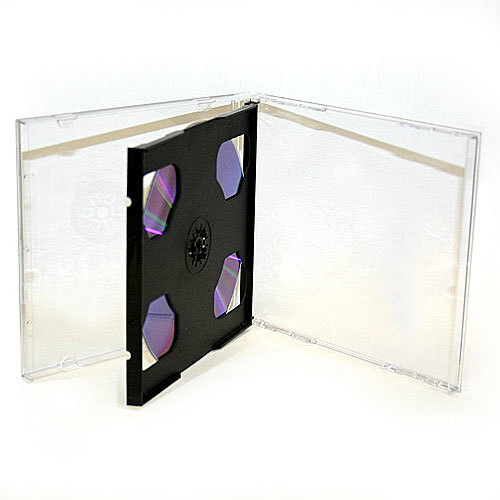 The Standard Double CD Jewel Case allows you to safely package 2 standard size CDs or DVDs. Made from high quality hard plastic. Cases are fine. Not to impressed with the FAT Friggin' greasy fingerprint on the majority of the cases. Who ever is packin' these things needs to wash their FAT nasty hands and start wearing rubber gloves when handling these cases. It's very discouraging to assemble new product when you have used looking cases. I'm happy to report that Shop4Tech has upgraded this product to a better design. No more fragile, breakable teeth holding the CD's! These are much better, I'm delighted with them. 5 stars! As before, these hold an insert for the front of the CD, but not for the back or side. Great service and price from Shop4Tech. 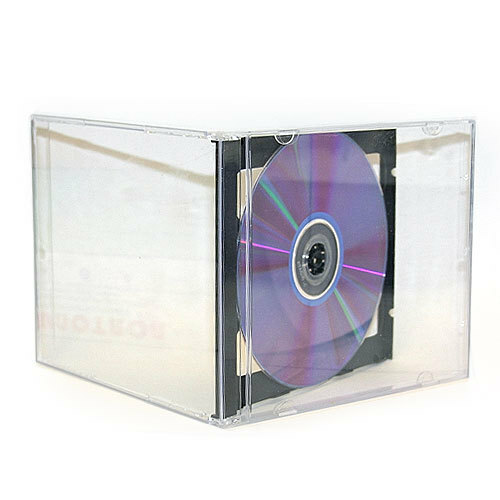 CD cases are very nice looking and seem like good quality at first glance. The only real problem with them is that the four little teeth that grip the CD are very fragile and break quite easily. 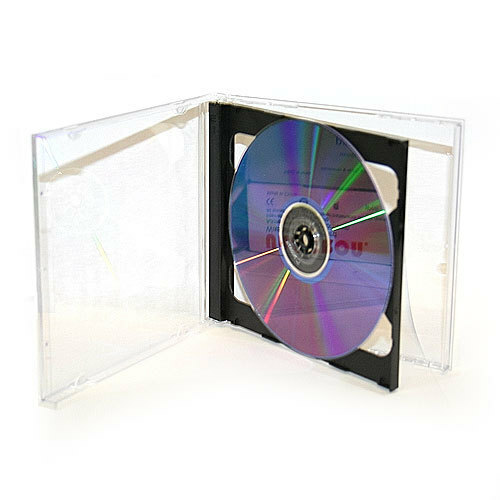 In assembling 50 CD's for sale, quite a few lost a tooth, and 5 of them lost 2 teeth, which meant they didn't have enough teeth to grip the CD, and they were then unusable. Happy with Shop4Tech, but not very happy with these CD cases. Shop 4 Tech also packages the CD's in a way that keeps them from shifting and getting scuffed, and also makes it easy to pull them out and check for broken CD's. Great!! OOPS!!! I meant to say Shop 4 Tech (not New Egg)!!! (duh...) Shop 4 Tech is the place to get these CD's. DEFINITELY!!! Very satisfied with these and with New Egg! I requested that New Egg using padding in their shipping, and they did. I ordered 400 of these CD's and only ONE arrived damaged, with just a tiny crack. By contrast, I ordered these from Meritline, and they didn't pad them. 20% arrived broken! When I requested padding on a second order, I didn't get it, and I had the same problem: a ton of broken CD's. They also sent me different, cheaper CD's the second time, which I hate. To their credit: they did refund my money for the broken CD's, no questions asked. I'll definitely stick to New Egg in the future. 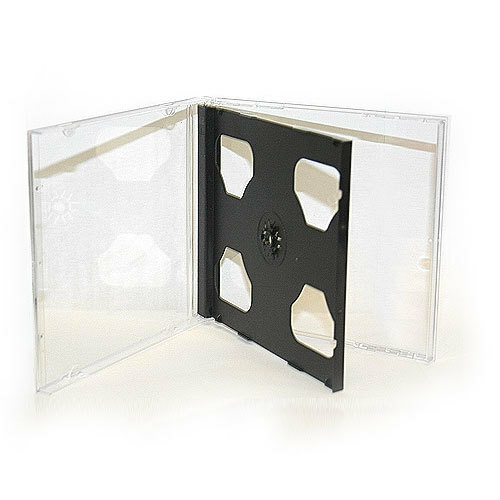 The CD's are good quality, lighter weight than some I've used, but nice, with a fully-moving hinged insert that holds the CD's. Their shipping was fast, and, best of all, no more dealing with dozens of broken CD's! These are not quite what I was expecting. I was expecting more professional style 2-CD jewel cases, with a stationary spine that says "2 CD" and a hinged 2-CD insert. These are similar to the ones that Fellowes manufactures, but I will admit these are better built that Felloews brand. These were about half the price of the professional style I had purchased elsewhere in previous years, so that was a plus. I ordered these and they arrived in good time. I found 2 tops cracked but I replaced those with ones I had already. These work great. They are better than ones I paid double for at a local retail chain.